Here we see the isolated Wythop Valley from Lord's Seat. The Wythop valley is hidden behind the fells that line the western shore of Bassenthwaite (seen to the right), and is accessed via Wythop Mill. 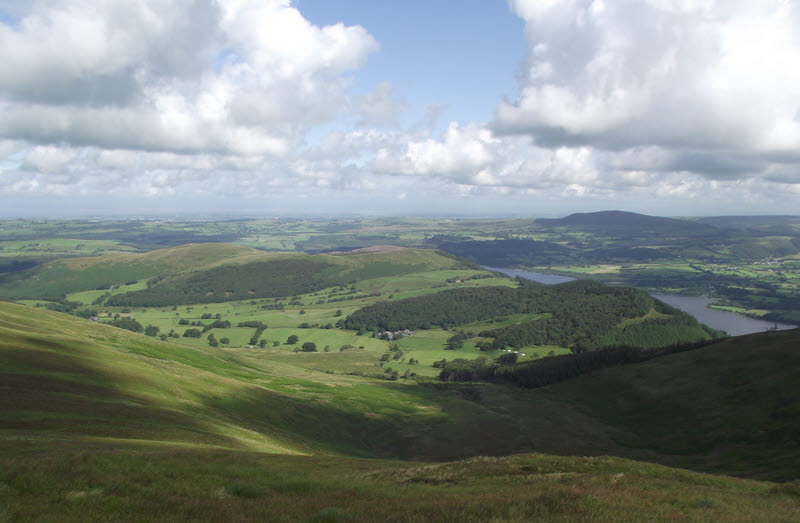 The valley is unusual in that it slopes away from the nearest lake, although Wythop Beck does drain into the lake, turning north outside the valley, then running east near to the A66 to reach Bassenthwaite.